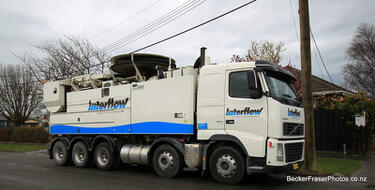 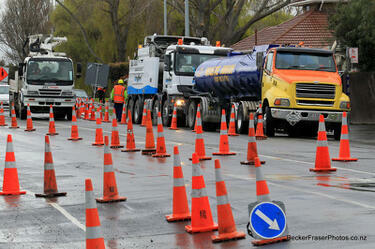 Photograph captioned by BeckerFraserPhotos, "A big Australian sucker truck in Newport Street". 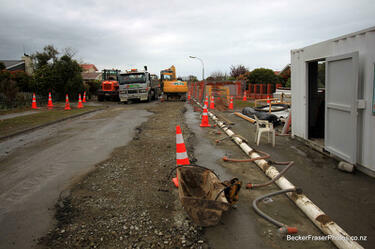 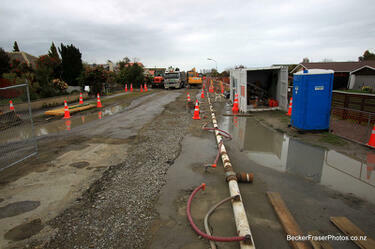 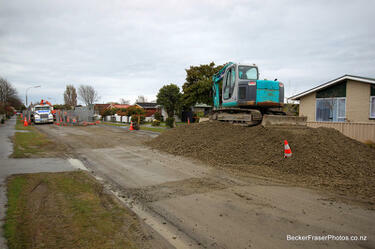 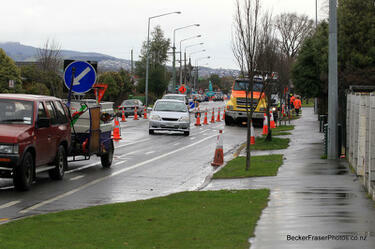 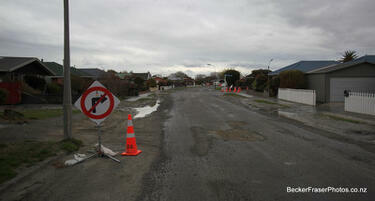 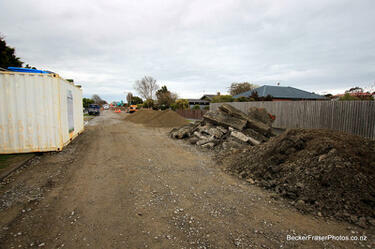 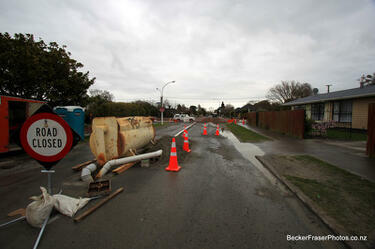 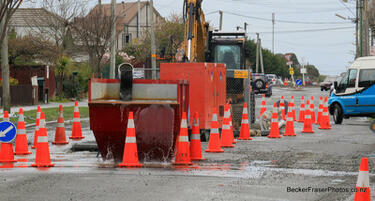 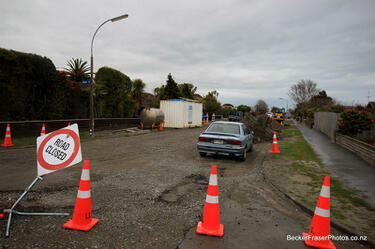 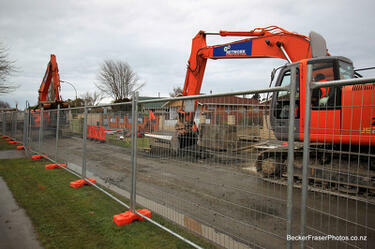 Photograph captioned by BeckerFraserPhotos, "Wainoni Road (here it is classified as residential green zone)". 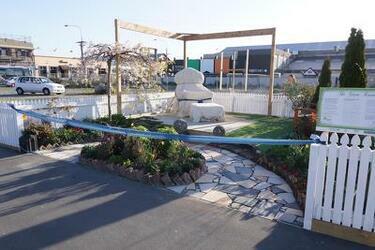 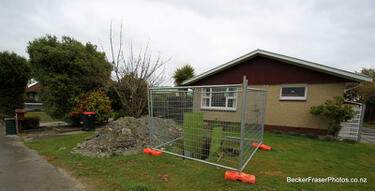 A video of interviews with three residents about their Port Hills properties. 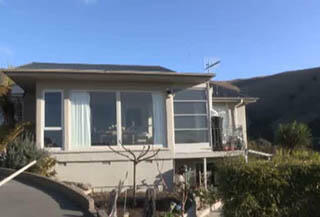 The video was filmed the day after Earthquake Recovery Minister Gerry Brownlee announced the red-zoning of 285 Port Hills properties. 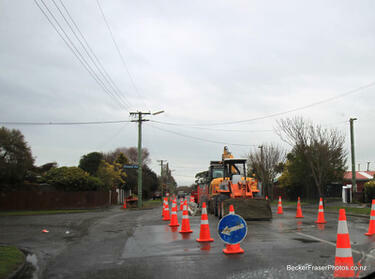 The video includes an interview with Marine Kent (whose house was zoned white to green), Mark Tranter (whose house was zoned white to red), and Tony Ging (whose house is still white-zoned). 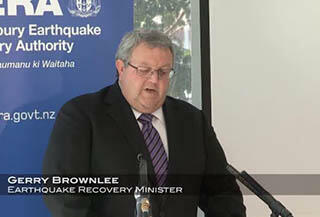 A video of a press conference with Gerry Brownlee announcing a CERA review which will change the zoning of 270 Port Hills properties. 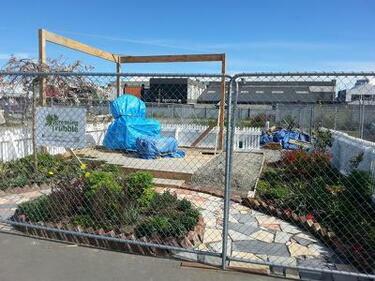 Brownlee announces that 247 properties will change from green zoned to red zoned and 33 properties will change from red zoned to green zoned. 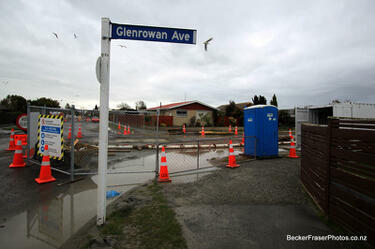 The properties that have been rezoned red have an unacceptable level of life risk from cliff collapse and the potential of debris inundation.